San Diego sports radio station Mighty 1090 resumed its talk lineup but only via its website and mobile app. 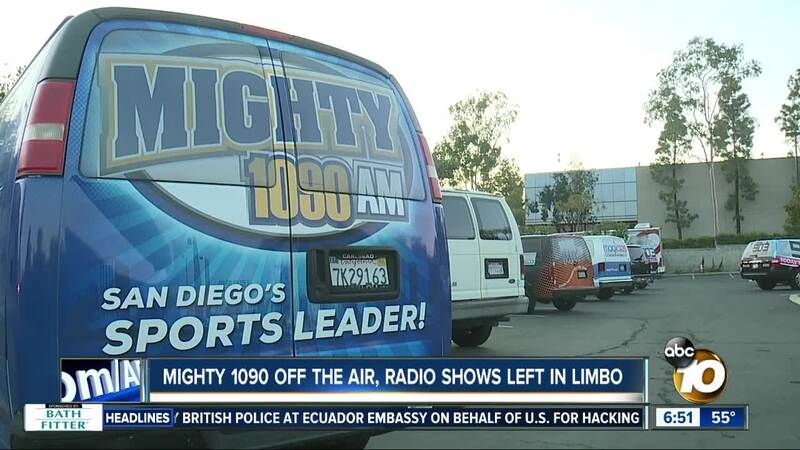 SAN DIEGO (KGTV) - One day after abruptly going off the air, San Diego sports talk station Mighty 1090 returned Thursday morning on multiple platforms except on-air radio. Just before 12 p.m. Wednesday, the popular radio station suddenly went off the air without an immediate explanation. 1090's “Ben and Woods Show” -- co-hosted by 10News Sports Director Ben Higgins -- went on the air Thursday morning via the Mighty1090.com website and its mobile app . Kaplan and the other 1090 personalities said they planned to do the same. As of Thursday morning, there is no official word on when -- or if -- Mighty 1090 will be back on the radio airwaves.